Cocaine is deviously addictive. Many don’t know they’re addicted until it is too late. One does not have to stop completely in order to experience withdrawal—in fact, a mere lapse in use is enough to bring on withdrawal symptoms. And the signs are more apparent than many think. Withdrawal may display itself in many colors—from strong cravings to full-fledged illness. Here are a few signs of cocaine withdrawal. While the symptoms of cocaine withdrawal are not as obvious as the feverish shaking and illness involved in other drugs like heroin or alcohol, they are nonetheless clear. If use has been long-term, withdrawal symptoms can last for months after last use. 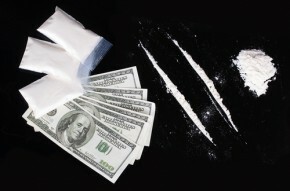 In fact, understanding cocaine and its pattern give one an even better picture of cocaine withdrawal. Cocaine is a stimulant, meaning it provides energy, alertness and euphoria. Mind you, these reactions are temporary, usually lasting only a few hours long. The high is followed by an intense crash. Cocaine plays with dopamine, a neurotransmitter. Rather than producing an avalanche of this brain chemical that monitors pleasure and movement, it restricts its uptake into the cell—thereby causing a build-up of the substance in the body. This is what produces the euphoria. However, because of the manipulation of cells, they soon lose their natural ebb and flow, and this results in a severe depression, agitation, and other side effects. Users may then make the mistake of taking too much of the drug, which often ends up in an overdose. It is common for cocaine users experiencing withdrawal to try to treat their symptoms with other drugs like alcohol, marijuana or prescription drugs. When they inevitably go back to cocaine, they get involved in mixing drugs, a very dangerous practice. The trouble with mixing stimulants and depressants is that they become a veritable game of Russian roulette. For example, the notorious speedball, a mixture of cocaine and heroin, is popular for the way the two drugs amplify each other. Cocaine can cause a rapid heartbeat, as it is a stimulant, but it wears off quickly—heroin, on the other hand, slows the heartbeat down following the cocaine high. This practice is extremely dangerous to the rhythms of the heart, however, often leading to hearth failure—as in the famous cases of John Belushi and River Phoenix. Cocaine abuse causes severe mood problems like anxiety, depression and psychosis. Physical changes, especially over long-term use, include changes in heart rhythms, blood borne disease, coma, heart attack and stroke. It is common for cocaine to destroy relationships, often resulting in divorce, broken families and torn friendships. In actual fact, with the right detox and rehabilitation program, cocaine treatment is possible and being made a reality every day. You don’t have to live your life in the shackles of drugs. You can create your own energy, your own euphoria, and your own life.